The #1 Shopping App in the US – The Christmas List is an easy-to-use app to help you organize your Christmas lists and budget so you can spend less time buying presents for the ones you love and more time being present with the ones you love! Track gifts by to do, purchased, shipping, received, and wrapped. When editing a list you can change the status of multiple gifts at once (for example, when you are wrapping gifts you can change the status of those gifts from purchased to wrapped all at once). Simple, at-a-glance views of shopping progress including budget. Adding a list of gifts is as simple as typing (or even dictating) a note. Just place each gift name on a new line and The Christmas List transforms your note into a gift list. It’s like Christmas Magic! Get a jumpstart on your lists by importing select recipients from your existing contacts. Easily share lists using AirDrop, email, iCloud Drive, or Messages. Use AirDrop to quickly share a single recipient or an entire group. Once you select a store for a gift, The Christmas List remembers that store and automatically builds a shopping list for the store to help make sure you get everything you need when you are out and about. Once you create a gift you can copy it to other recipients on your list without the need to retype the details. The Christmas List comes with a list of popular retailers, but if you don’t see the one you are looking for you can easily add your own. You can even use emoji in the store name. Add photos for gifts and people from your photo library, clipboard, or camera. See a countdown to the number of shopping days until Christmas right in the app. Print lists directly from the app. Optional password protection – set up a PIN or use Touch ID to keep out snoops. Changing the status of several gifts at once has always been possible on the lists by status (accessed via the Progress tab). Now the lists by person and the lists by store can do it too. Also new is the ability to change the store for multiple gifts at once. It’s never been easier to keep track of what’s wrapped, shipped, and left to do. "The Christmas List is solidly better...with more options and an easier interface." "Some of The Christmas List’s best features are the little details that the app just gets right." "It's a handy way to keep track of what you have bought…"
New in this update – the green checkmark that indicates that shopping is done for a person is now smaller and shown along with the person's picture. Very easy to use, organizes everything just as you need it to be. Add a person set a budget and go shopping. If you know what you want to buy each person, put on the list. If you don’t, add it as you go. I found adding items is quick. To Do is the best feature. 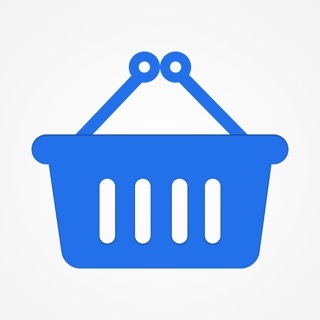 It let’s you see what’s left to purchase by person and by store. This was a BIG BIG time saver because I knew exactly what I needed to buy at each individual store. A list of chain stores are provided to choose from, but you can easily add your own. Budget feature is extremely nice. I could see what was spent on each person and the total for everyone. The App works off line independent of the cloud. I can’t find anything negative to say and would recommend the developer modify this one to work for birthdays, weddings and other holidays throughout the year. Tom, Fredericksburg, Va. 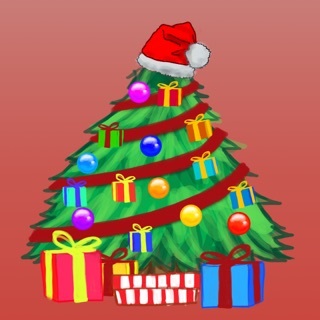 This app has some great functionality with organizing Christmas lists and a budget. Groups of family, friends, etc.. Very Strong. My biggest gripe with this app is it’s lack of Syncing ability between a family. Why two people buying for 3 kids can’t sync between two phones is beyond me when SO many other apps already do this. Through a Dropbox database, or other. The ability to airdrop and push the lists back and forth is manageable but it really is not optimal. With this being a paid app and a popular one this Sync feature is a major functionality issue that just is not there. Also, if I make changes on my end and my wife makes changes on her end, I have to push my list to her and then she has to push her list to me. Every group, ...so 4 times. It would seem obvious to be able to export multiple groups to at least make this process somewhat easier. Christmas shopping is not a 1 person job. This really needs to be considered!